A show that probably didn’t mean anything to anyone who wasn’t from Texas. Growing up down here changes the way you think about Friday night in the fall. Will the boys win? Will they lose? I know this is a travel blog, but travel is about experiencing other cultures, right? Texas football is a culture within a culture. 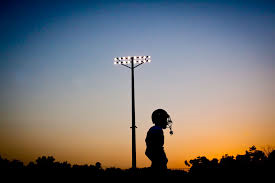 Whether it is the high school game on Friday night that the whole town shows up to or the college game on Saturday that you budget money out of your paycheck to pay for as often as possible. Game day is holy. Game day means friends and family whether you are tailgating or having a watch party at home. Friday Night Lights described how we felt during those months that the boys put on shoulder pads and helmets. We watched the weather go from steamy to frigid, and sometimes back to steamy, depending on how Mother Nature was feeling. We sit in the stands and grit our teeth, call plays, tell the defense something that the coaches have hopefully already told them. At halftime we listen to the band, we watch the dancers perform a kick routine, and then cheer the boys to victory or feel our hearts break for them as they lose. Because that’s what happens when we lose. Our hearts break. We invest so much into the game, we believe so much in our boys, that we feel like we’re down on the field with them when the time runs out. No matter if they are our own or not. Football in Texas is going back to your hometown on a Friday night and reliving it all. It’s gameday in Aggieland and wearing your finest maroon and boots. It’s tailgating in the backyard of the place mom and dad, and eventually you and your sisters went to college. It’s the fellowship with other fans, because it’s a holy day. Football in Texas is religion, and we believe.